New Laser Treatments and How They Benefit Your Skin! We live in a society that wants to look younger, feel better, and age in reverse – and we can’t argue with that. That’s probably why there seems to be an abundance of skin treatment options for those looking to improve the look and feel of their skin in today’s world. But in our world at Precision Skin Institute, we’re about quality – not quantity. Because of this, we’ve adopted some of the latest and most effect laser energy treatments to improve the quality of our patients’ skin. And at Precision Skin Institute, one of the best full-service dermatology centers in south Florida, we stand behind our wholehearted approach to wellness, which means educating YOU on the options available for your approach to skincare. If you’re going to get serious about taking the look of your skin to the next level, it’s important to know the effects of laser treatments on the skin. For many people, skin imperfections such as acne scars, wrinkles, textural irregularities and sun damage can impact their self-confidence. Patients looking for dramatic, permanent changes in their skin often choose a type of laser skin “resurfacing.” Resurfacing Laser Peels have traditionally been categorized as ablative and non-ablative. So, what’s the difference between sublative and ablative laser treatments? Ablative, one of the original technologies that has been refined over this last decade and remains the gold standard for treating scars, textural changes from sun damage and deep wrinkles, works by delivering heat in a controlled fashion to the deeper layers of the skin. This, in turn, “stirs the pot,” by creating an environment for new collagen production. While this process certainly gets the job done, there is a much longer healing time associated with ablative lasers than with some of the newer sublative options. Additionally, there is greater risk of complications such as discolorations and scarring. And who needs to take that kind of risk with their skin? To minimize these complications, however, fractional, energy-based devices have become all the rage. 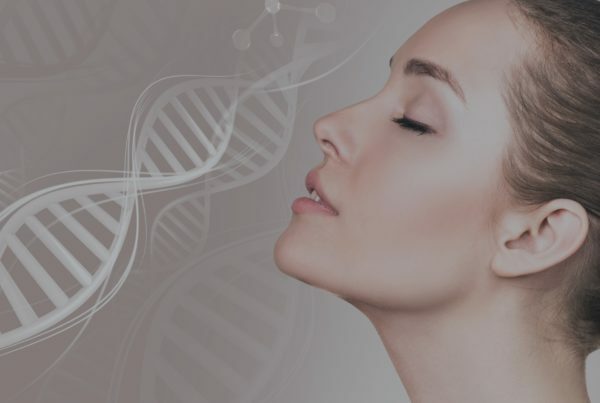 Fractional ablative treatments, an energy based device that uses radio frequency to deliver its magic, produces thousands of tiny columns or micro-beams of energy creating areas of treated tissue surrounded by untreated tissue. This mimics the results obtained with the more aggressive carbon dioxide ablative procedures, but without the risks and prolonged healing time or potential scarring. Fractional treatments help remove surface imperfections and significantly reduce the appearance of fine lines and wrinkles. Thanks to amazing advances in laser technology, instead of having to remove the entire top layer of skin tissue to give your skin that rejuvenated look you desire, non-ablative lasers or energy devices, such as the new Ematrix Sublative, works beneath the surface of the skin in fractional mode to improve skin tone and texture while minimizing various texture imperfections such as scars, pores, and wrinkles. And just like we mentioned earlier, this laser takes quality skincare and treatment to a whole new level. Now at Precision Skin Institute, we have both the Fractional Ablative Laser by CO2RE, as well as the cutting-edge, sublative energy device, Ematrix, both by Syneron Candela. And the best news? Both procedures are bringing you great results with minimal pain, healing time, or time in the office. Please visit us for an individual laser consultation to determine which of the best laser skin treatments would be ideal for you to treat your skin surface for that refreshing and youthful glow. Previous PostThe Best Lip Fillers in Fort Lauderdale – Just in Time for Valentine’s Day! Next PostBrown Spots Be Gone!